A TABLE is a form of furniture with a flat horizontal upper surface used to support objects of interest, for storage, show, and/or manipulation. Some common types of table are the dining room table, which is used for seated persons to eat meals, the coffee table, which is a low table used in living rooms to display items or serve refreshments, and the bedside table, which is used to place an alarm clock and a lamp. The surface must be held stable; for reasons of simplicity, this is usually done by support from below by either a column, a "base", or at least three columnar "stands". In special situations, table surfaces may be supported from a nearby wall, or suspended from above. 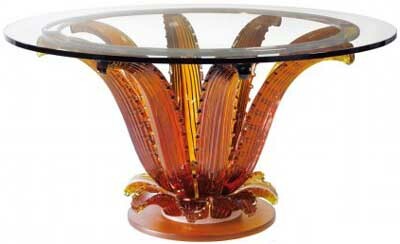 A COFFEE TABLE, also called a cocktail table, is a style of long, low table which is designed to be placed in front of a sofa, to support beverages (hence the name), magazines, books (especially large, illustrated coffee table books), decorative objects, and other small items to be used while sitting, such as beverage coasters. Coffee tables are usually found in the living room or sitting room. They are available in many different variations and prices vary from style to style. Coffee tables may also incorporate cabinets or drawers for storage. The most common construction of coffee tables is out of wood, but metal coffee tables are also popular. Typically, stainless steel or aluminum are used for metal coffee tables. 206,027 coffee tables Home Design Ideas - houzz. 881,122 tables Home Design Ideas - houzz. Shopping for Nesting Tables - The New York Times. ARMANI / CASA - all models. BARCELONA TABLE - designed in 1929 by Ludwig Mies van der Rohe. 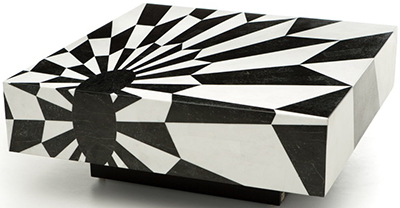 Boca Do Lobo - "Luxury Exclusive Design Furniture Manufacturers." Coffee & side tables. Driade - "Accent and luxury Italian tables." All models. Ecart Paris - "Since 1978: re-editing & editing furniture, lamps and decorative objects." LIGNE ROSET - occasional tables. 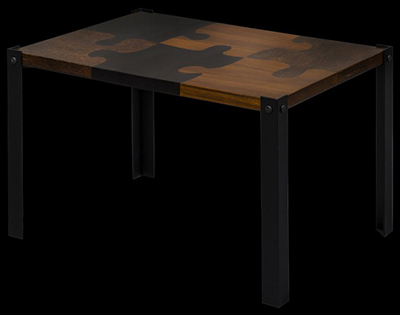 LUZZO BESPOKE - card table. Amboyna burr veneer top with black anodised aluminium base. MANUFACTURE DE LUXE - high tables & coffee tables. Molteni & C - since 1934. 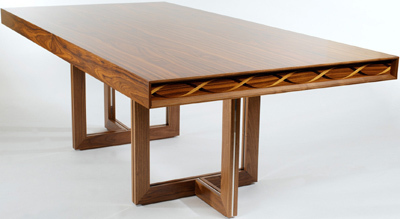 "Contemporary Dining Tables, Modern Designer Dining Tables." Nicholas Haslam Ltd - established in 1980. Coffee tables. 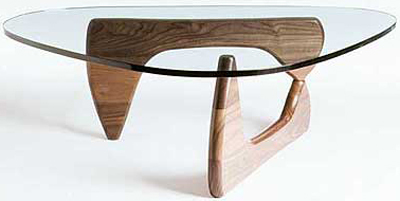 NOGUCHI TABLE - designed in 1939 for A. Conger Goodyear, president of the Museum of Modern Art. PARNIAN - "Live Like You Mean It." 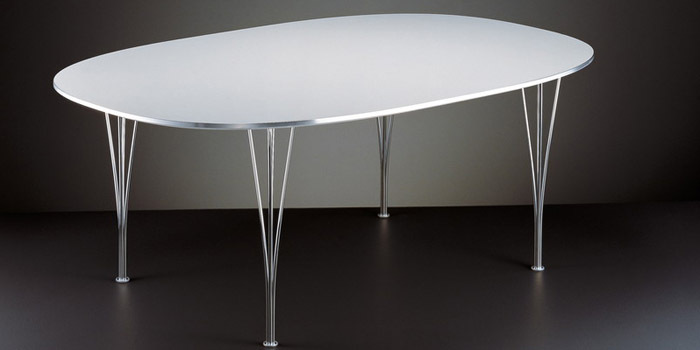 Pierre Frey - tables & coffetables. Riva 1920 - "Made in Italy." Rue Monsieur Paris - since 2012. "French luxury furniture company." Tables & coffetables. Super-Elliptical TABLES - designed by Piet Hein, Bruno Mathsson, & Arne Jacobsen. The White Company London - since 1993. "Everything you need for stylish living - mainly in white." Our Brocklesby side tables are hand-crafted by a family-run joinery in Yorkshire from locally sourced timber and our Solid Oak Dining Table is superbly robust. WILLIAM YEOWARD - coffee & side tables.